We combine international expertise with local African know-how, and a long-term vision with a sustainable approach. Amatheon Agri aims to become a major player in Sub-Saharan Africa’s food production. This is one of the most attractive and promising markets in agriculture today, characterized by tremendous growth in GDPs and population which leads to increased food demand and changing dietary habits. Many countries in Sub-Sahara Africa still rely on food imports, despite large availability of arable land. 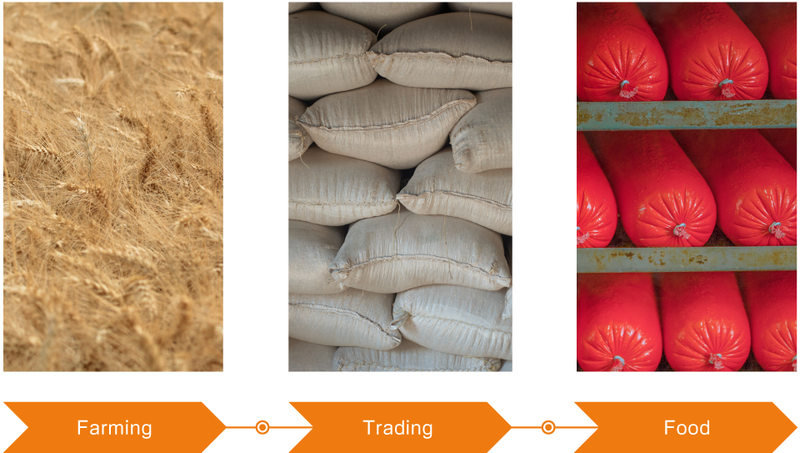 Investing in the agricultural value chain and substituting unnecessary food imports offers enormous growth potential. Amatheon’s long-term strategy is vertical integration of grain and livestock into the food value chain, starting with primary production on farms and transferring produce to urban areas to end with consumer products. Our approach integrates small-scale farmers into our primary production of staple crops as well as sourcing livestock from communities for our feedlots. This model enables inclusive growth, economic participation and improves rural livelihoods whilst creating rural-urban linkages. Processing, packaging, distribution and final sale businesses is the second component of our integrated value chain strategy. This has been realized through the acquisition of five leading Zambian meat businesses to form the Real Meat Group, which currently holds the number two position in the Zambian meat market. When expanding, Amatheon focuses on countries with proven potential in agriculture and food production. The company looks for opportunities that promise a sizeable entry into the value chain, as well as the prospect to align the entry with strategic pillars. Alongside the unique sustainable approach, Amatheon gains competitive advantage in replicating best practices of lessons learned from other country experiences.